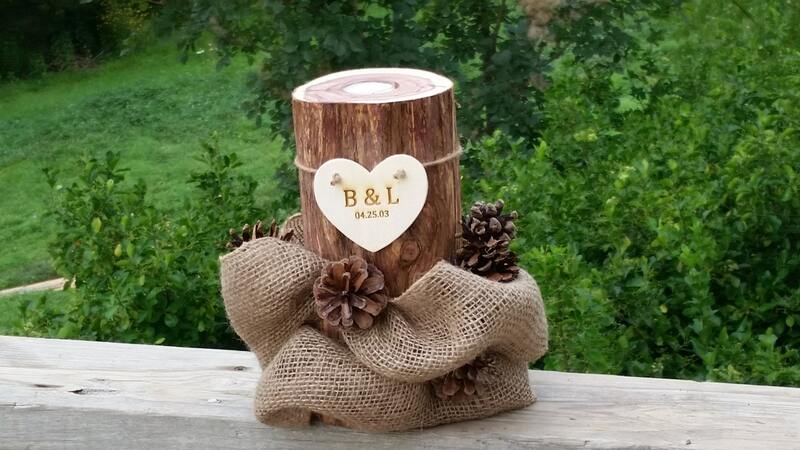 Add this beautiful log candle holder to your Fall decor and it will serve as your candle holder and center piece all in one. 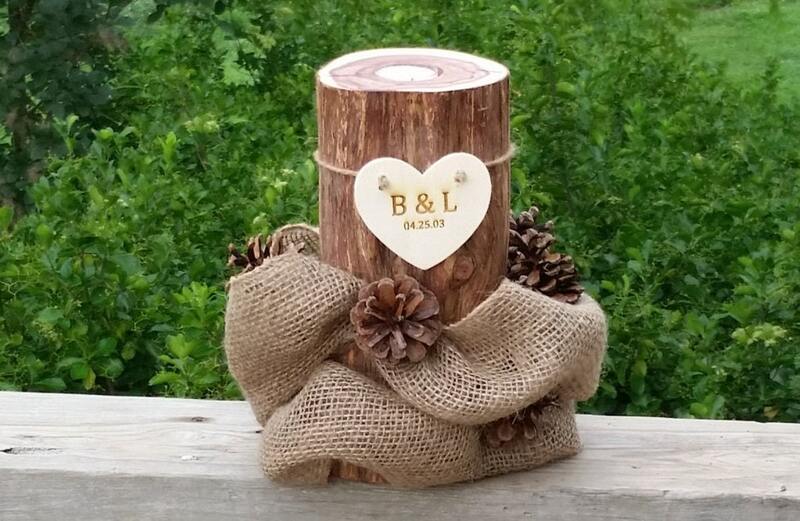 This beautiful log candle holder that is wrapped in burlap and has few pinecones added to it to your tables for a gorgeous all natural unique one of a kind center piece. Size: aprox. 10" Tall x 3-4" Wide with tea light candle hole at top. 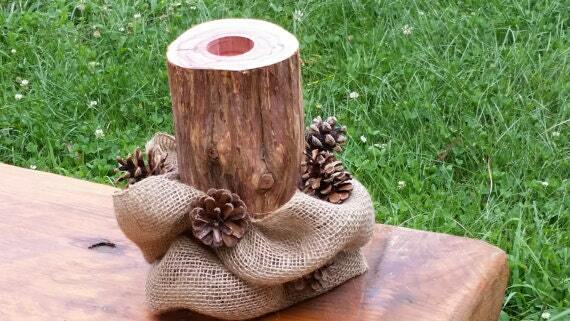 QTY: 1 candle holder center piece. Lead time 3-5 business days! IF YOU NEED IT SOONER CONTACT US!